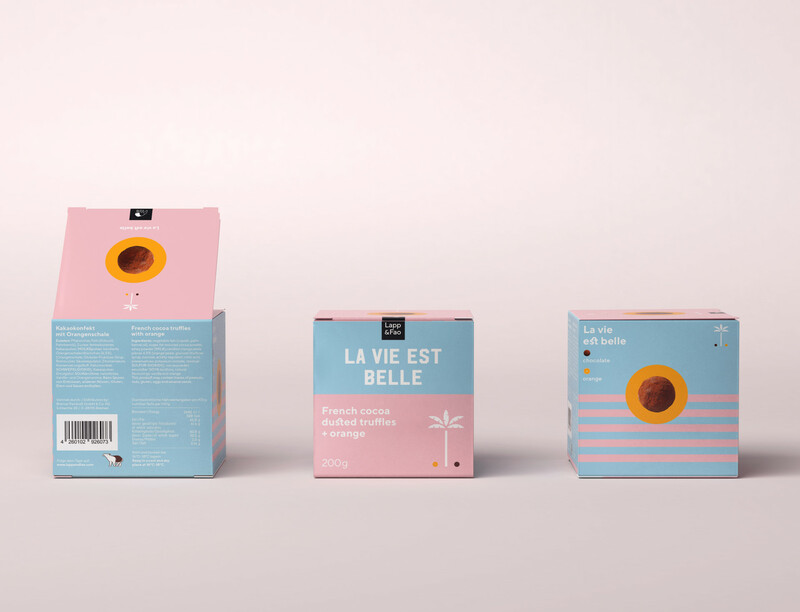 Lapp & Fao’s new truffle series is the culinary manifesto for the sweet life. 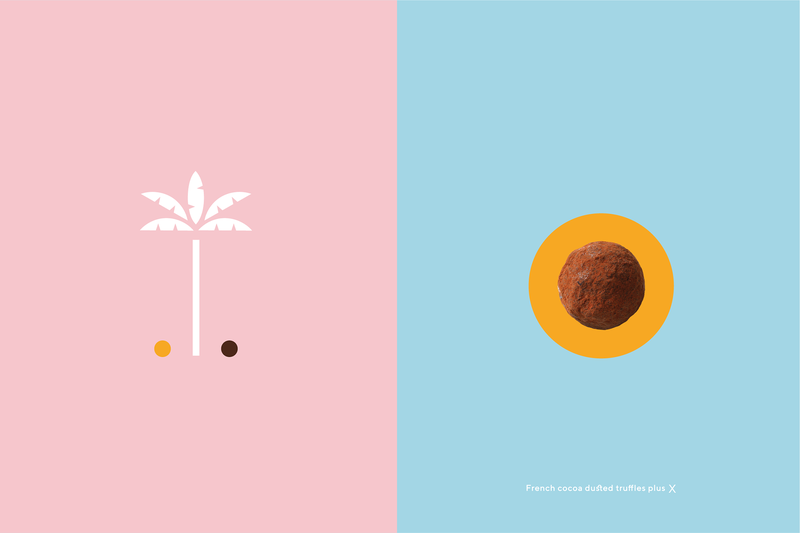 Finest french chocolatier art paired with dangerously tasty fillings, amuse your stomach and mind in eight different creations. 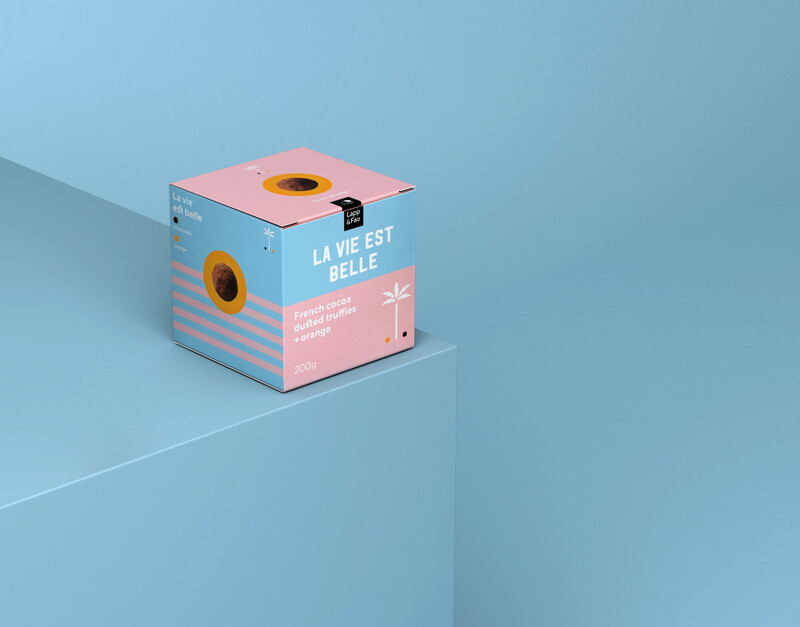 A real sweetness. 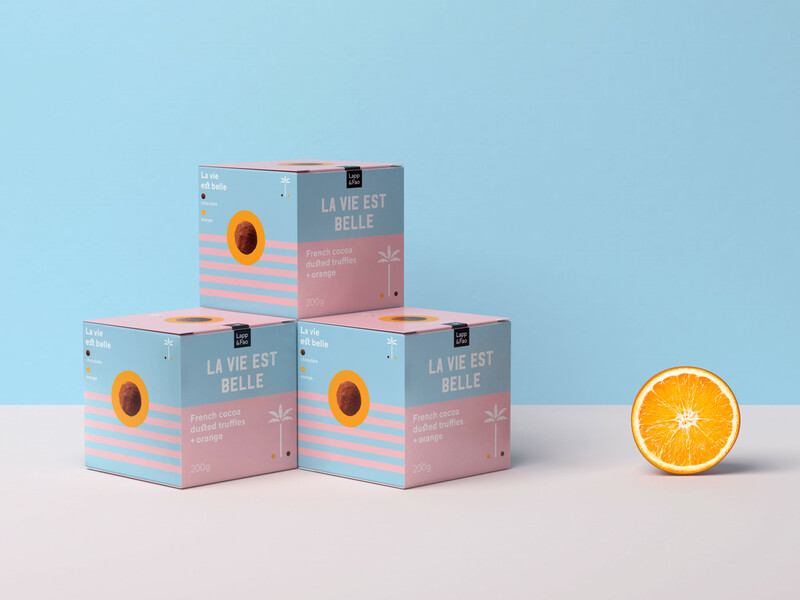 Which, above all, makes you happy. 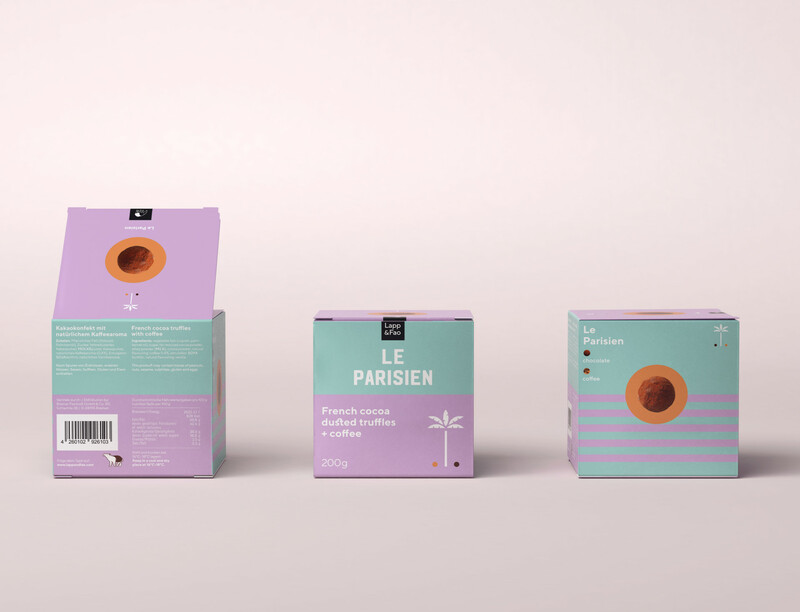 The new packaging design was intended to convey this feeling in a striking way. 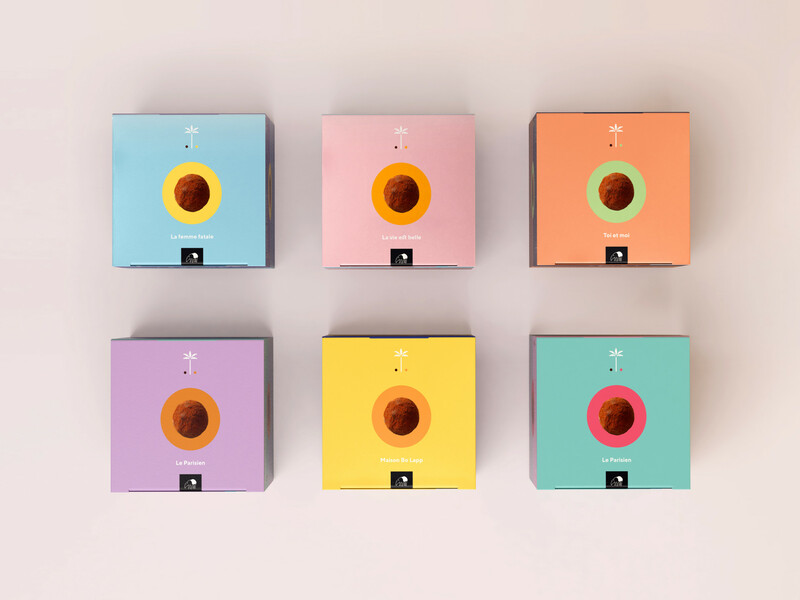 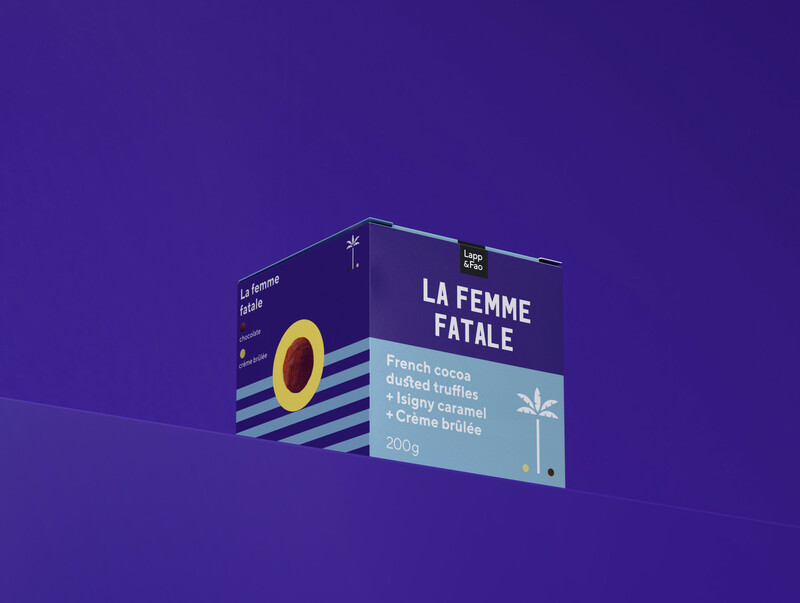 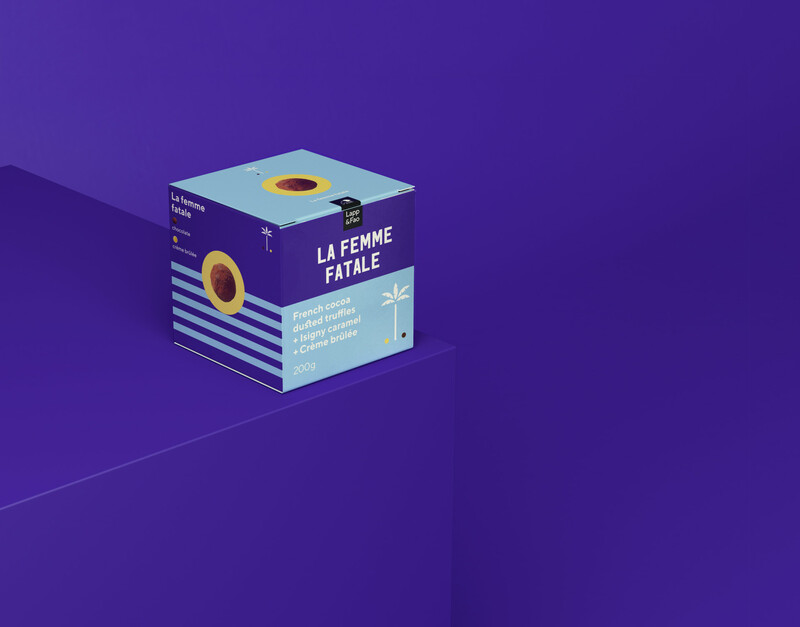 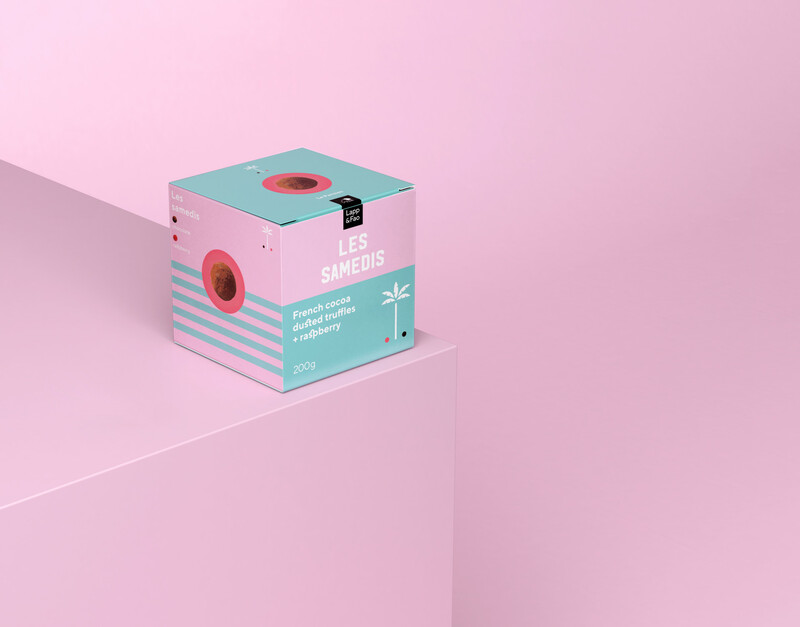 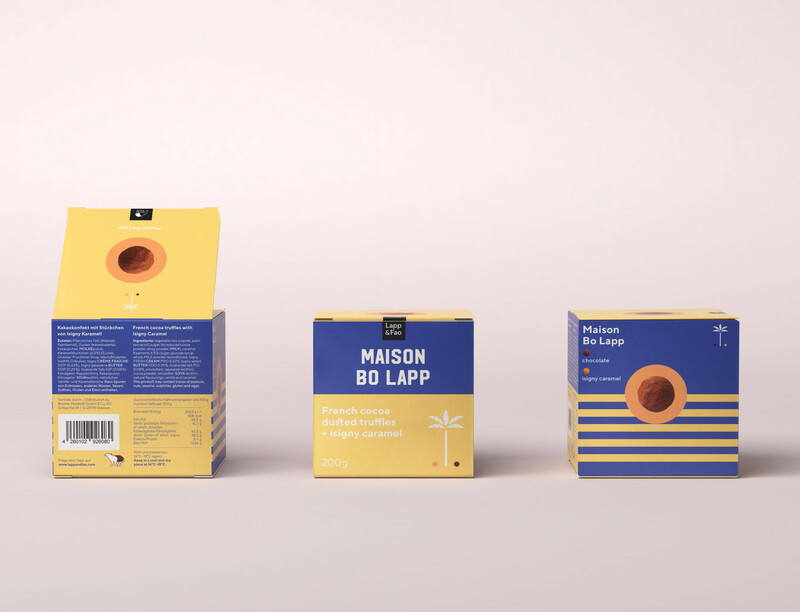 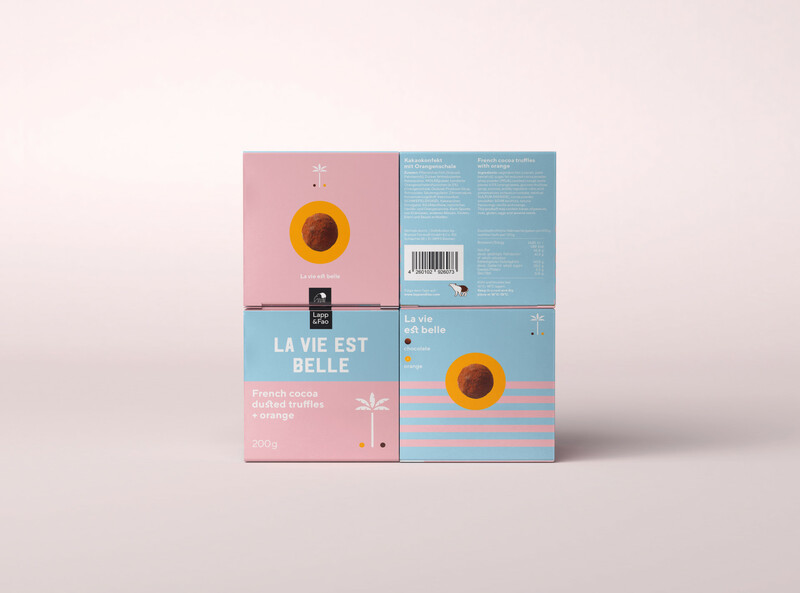 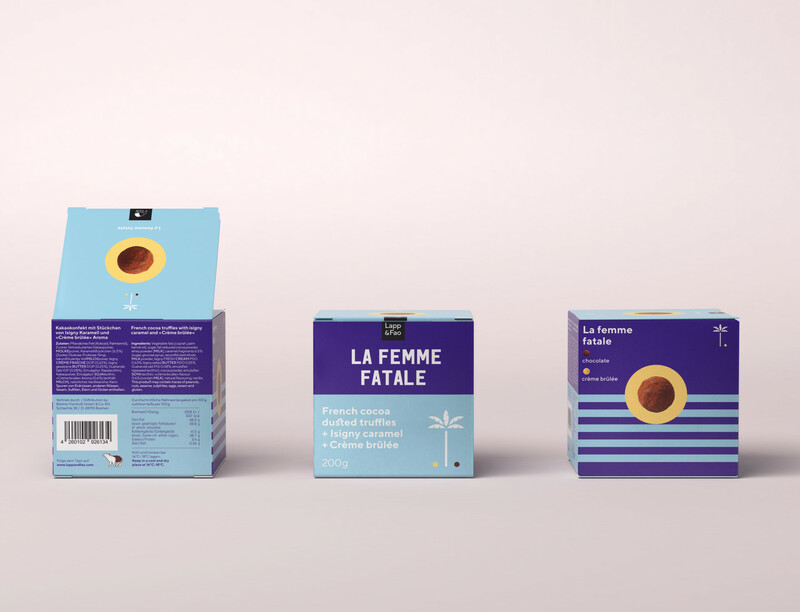 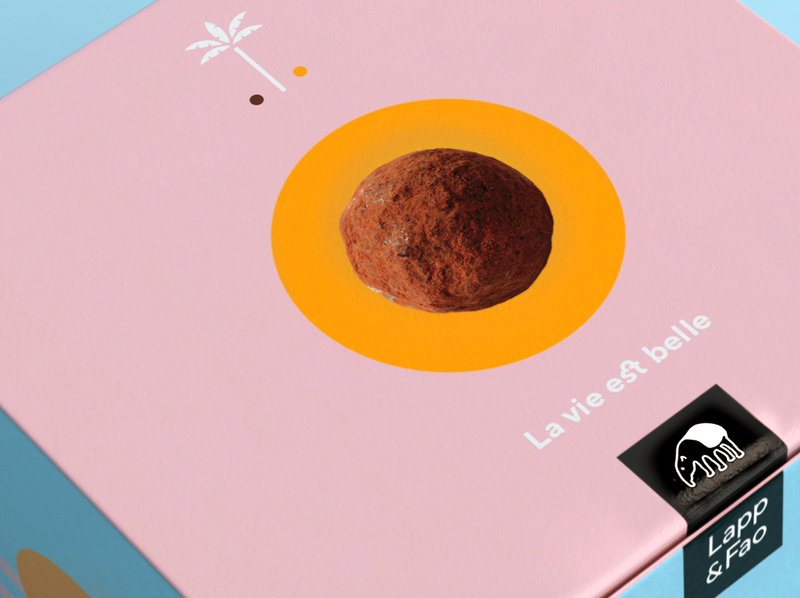 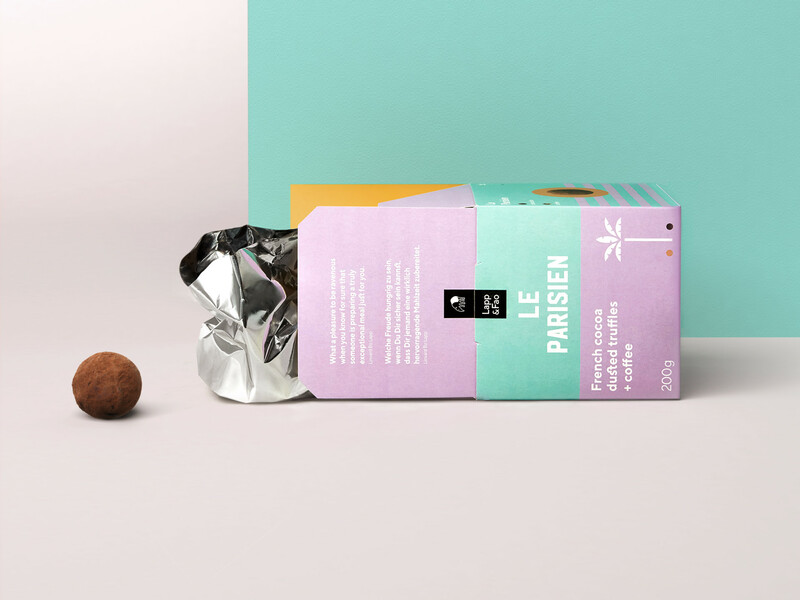 The packaging design of the Lapp & Fao chocolate truffle is a big hello to the sweet life. 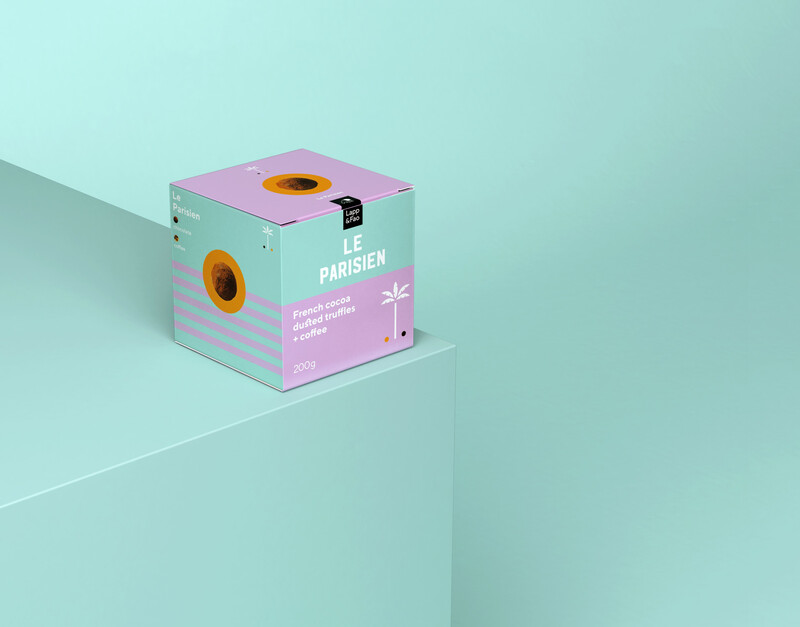 Bright colors celebrate a party and patterns march across the entire package. 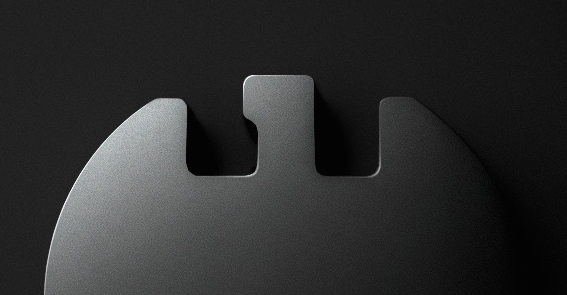 The design breaks with the usual codes of the genre and reinvents itself consistently. 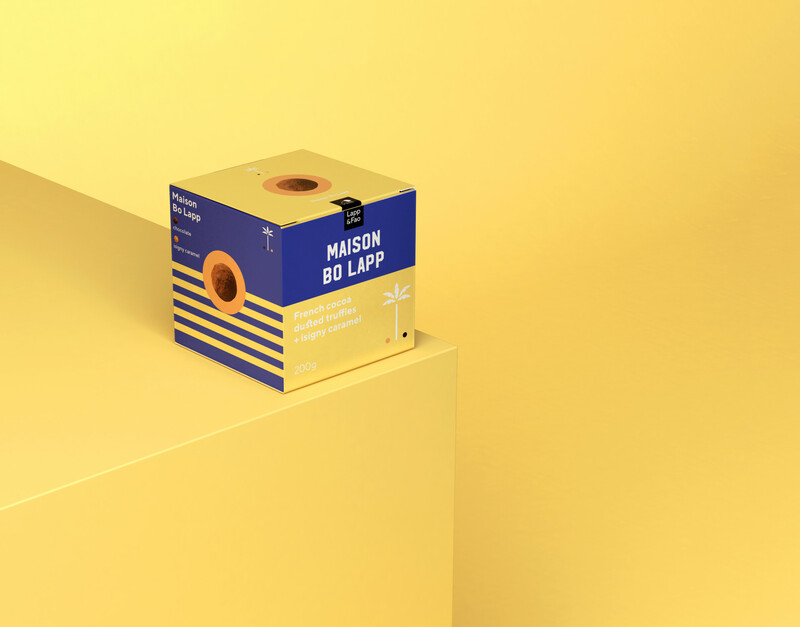 This is made for the beach, the chalet or a ménage…..